In addition to planting new trees & shrubs in the Denver area, we can advise on how to make sure your new additions thrive. Getting your trees on a consistent watering schedule until the roots take hold is vital to their success. With full-service planting and landscaping capabilities in Denver, Arbor Garden is proud to offer a 1-year guarantee on all newly planted trees and shrubs. Our plant healthcare experts hand-select all trees and shrubs from Alameda Wholesale Nursery, a family-owned nursery in the South Denver area for over 72 years. 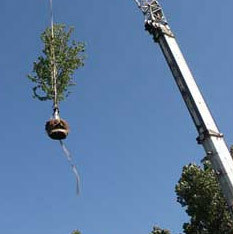 Let Arbor Garden recommend appropriate trees and shrubs specifically for your property and lifestyle. Contact Pete Evers at Arbor Garden for a personal consultation at tel:303-722-8820 or simply Inquire Online Here.